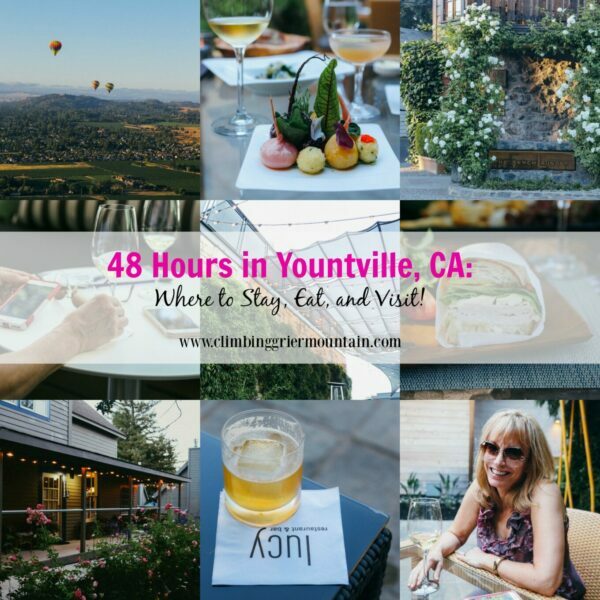 48 Hours in Yountville, CA: Where to Stay, Eat, and Visit! 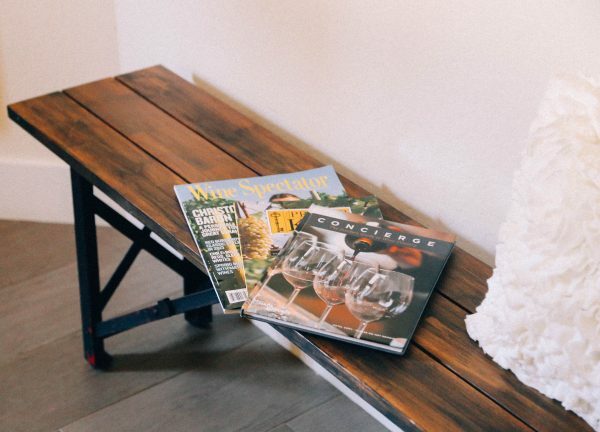 48 Hours in Yountville, CA: Where to Stay, Eat, and Visit! 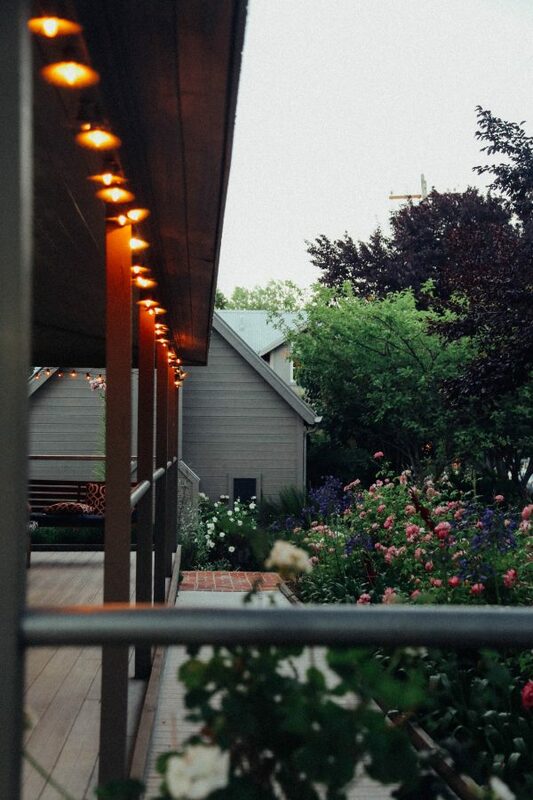 In the heart of Napa Valley lies the beautiful town of Yountville. 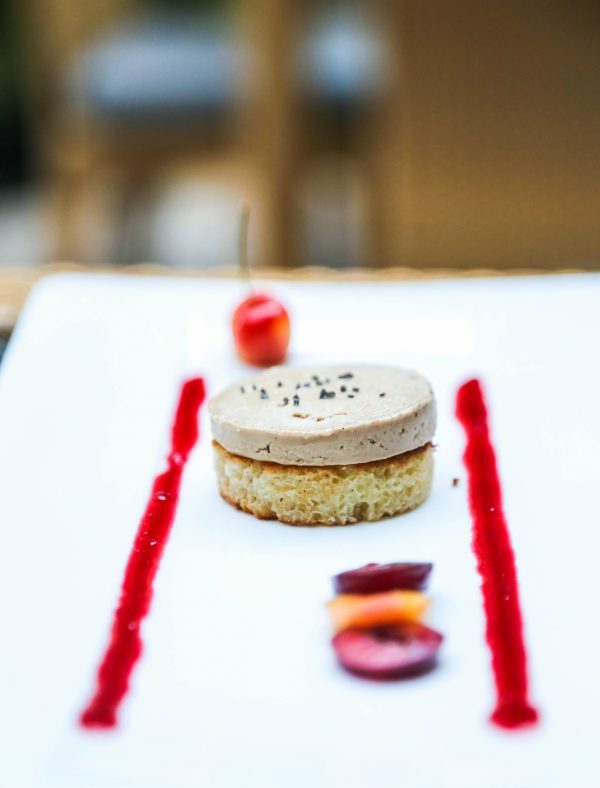 World-class cuisine, endless amounts of wine, and adventures activities for all ages. 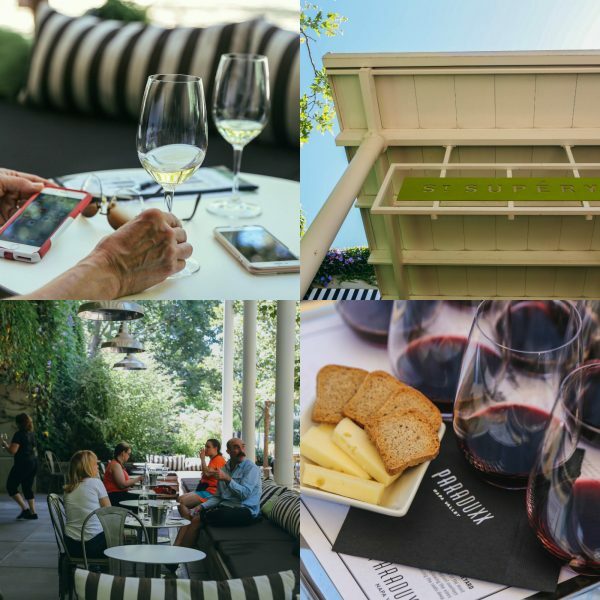 Yountville, California is not to be missed! A quaint town nestled midway along the 27-mile stretch that is Napa Valley. Once a rugged, slightly gruff town where bikers made a quick pit stop to refuel and grab a cold beer is now a must-see destination. Thanks to the evolution of the California wine industry, Yountville has become the Cinderella of Napa Valley. 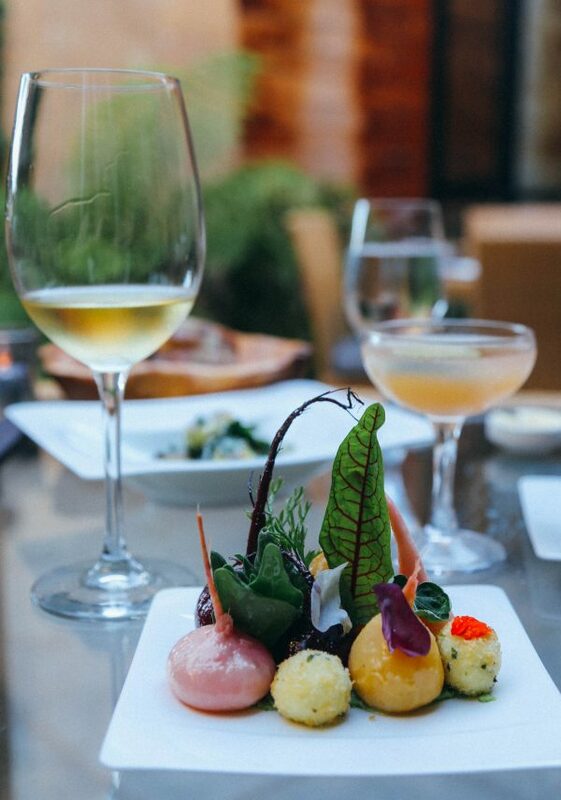 Yountville boasts world-class restaurants – two of which are Michelin starred – The French Laundry (featuring renowned Chef Thomas Keller) and Bouchon Bistro. 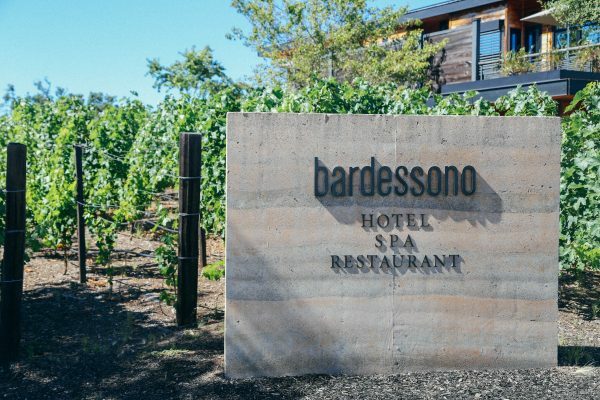 Yountville also has extraordinary, luxury hotels like the Bardessono or simple, yet cozy bed and breakfasts where a restful slumber awaits. Award-wining wineries line Washington Street along with shops, art galleries, and museums. Or, if you want to breathe in that fresh North Bay air, you can set your sights high above the town in a hot air balloon. 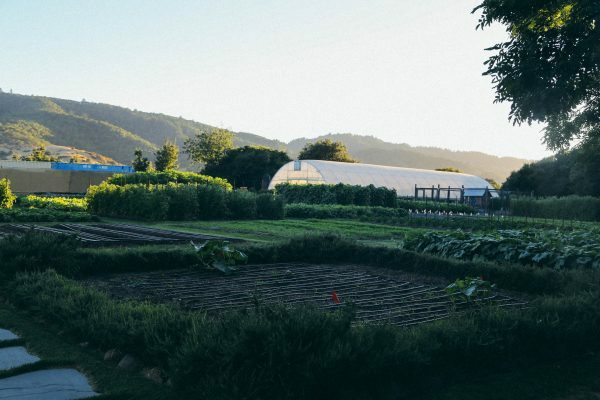 The beauty of Yountville aside from its legendary culinary status, is that you can experience an array of activities within a short stroll from another. And this is how our journey begins. After spending 48 Hours in Yountville, I fully understand how a sleepy, unpolished town became the belle of the ball. We arrived in Yountville early in the afternoon after an hour or so drive from San Francisco. 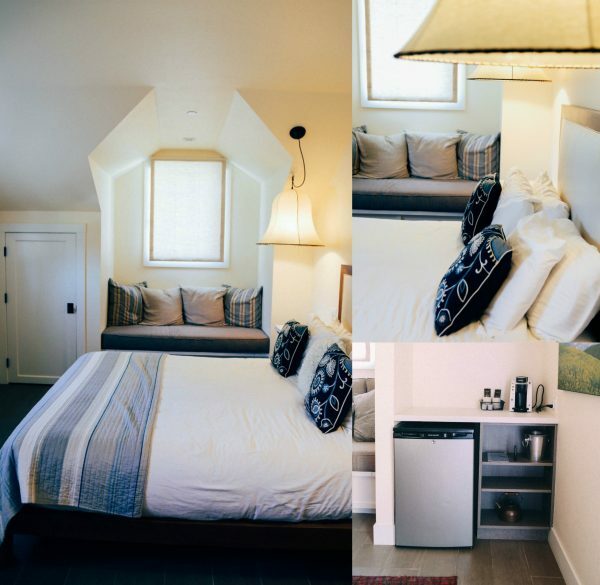 Our home for the next three days was a charming bed and breakfast located in the heart of Yountville (one block away from Washington street) called, Lavender – A Four Sisters Inn. This 1850’s farmhouse-style boutique building, complete with a wrap around porch and complimentary breakfast, was the perfect sanctuary. Our room (just outside from the main house) boasted a large living room with a pull out couch and fireplace. The master bedroom was decorated in coastal flair with a fluffy king bed and an enormous bathtub complete with a rain shower. After a quick refresh, we strolled down the street to Jessup Cellars for our first official wine tasting. 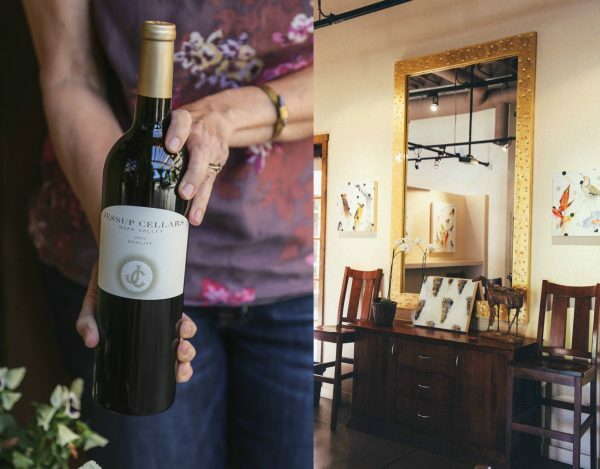 There are many local tastings you can experience while in Yountville, but Jessup Cellars is a must. You can either partake at a tasting in the bar or enjoy a more intimate setting by sitting down in their local art gallery. The wine in Jessup Cellars is key (Merlot being my favorite! ), but it’s the focus on the arts and community that brings Jessup Cellars to the forefront. Make sure to check out their TasteMaker Speaker Series, Release Feasts and Art House Short Film Series if you are in town. Once we concluded our tasting, we made way to other side of Yountville ( three minute walk) to Lucy’s restaurant located inside the luxurious Bardessono Hotel. We dined outside in what felt like our own private courtyard. With the sun beginning to set and lights twinkling above, we had no idea the meal we were about to embark on. First up, baby beet salad with fried goat cheese, wild arugula mousse, and garden sprouts followed by hand rolled gnocchi in kale pesto. From there we made way to the petrale sole complete with barigoule vegetables, morrels, and artichoke hearts. 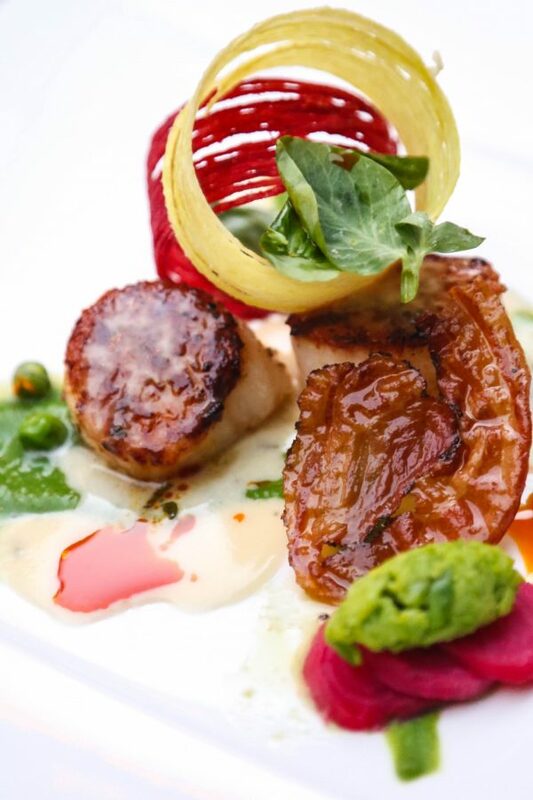 Next was diver scallops with English puree, pancetta, crispy beets and tarragon butter. 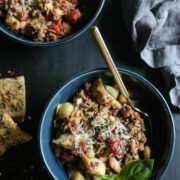 Each of these dishes was paired with a thoughtful collection of wine to complement the flavors. The next morning we decided to expand our wine tasting and get some exercise by taking in one of the local bike winery tours. 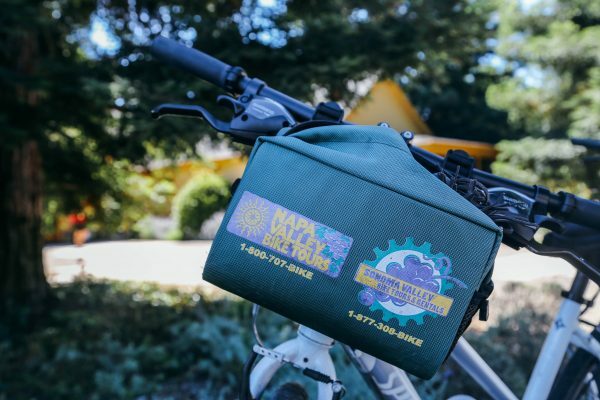 Napa Valley Bike Tour made our full day of touring a breeze with their thoughtful guide and comfy bikes complete with baskets to hold all of our stuff. We were able to bike to three wineries – St. Suprey, Rutherford, and Paraduxx. Each winery was set among beautiful rolling hills which made “earning” our tasting that much more enjoyable. As we sipped Rutherford Rose and ate a gourmet lunch of deli sandwiches, life felt it couldn’t get much better. After a full day of biking and wrestling the heat, we decided to have a low-key dinner at Pacific Blues Cafe. 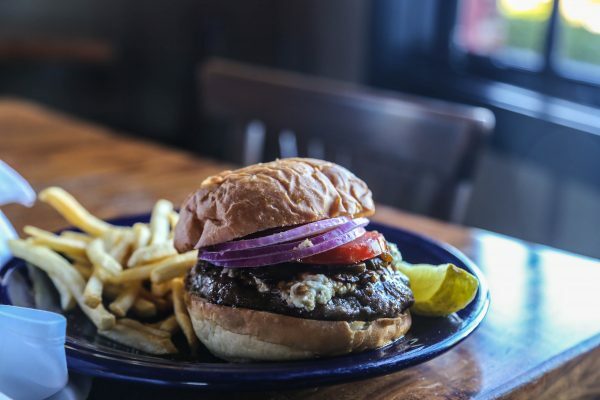 Menu comes complete with fresh salads, sandwiches, and juicy burgers. 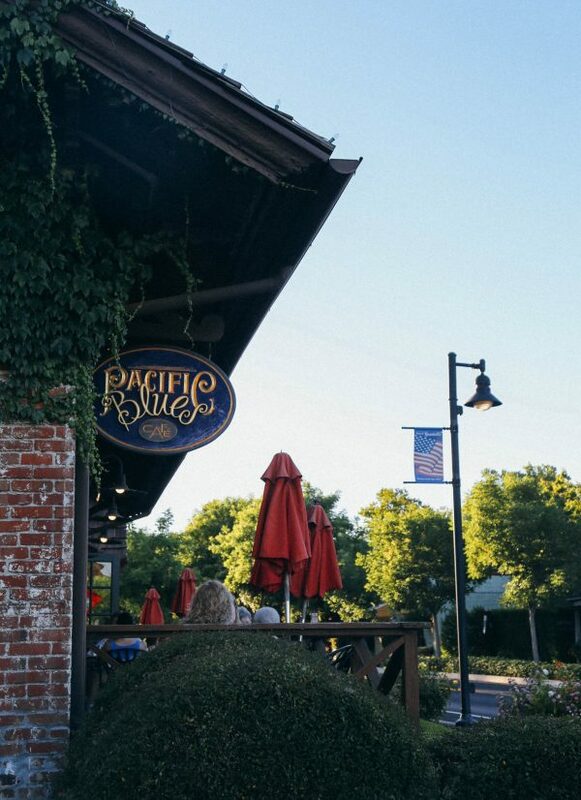 Grab a local draft beer, sit on the patio, and admire the beauty that is Yountville. The next and final day, we took to the sky. 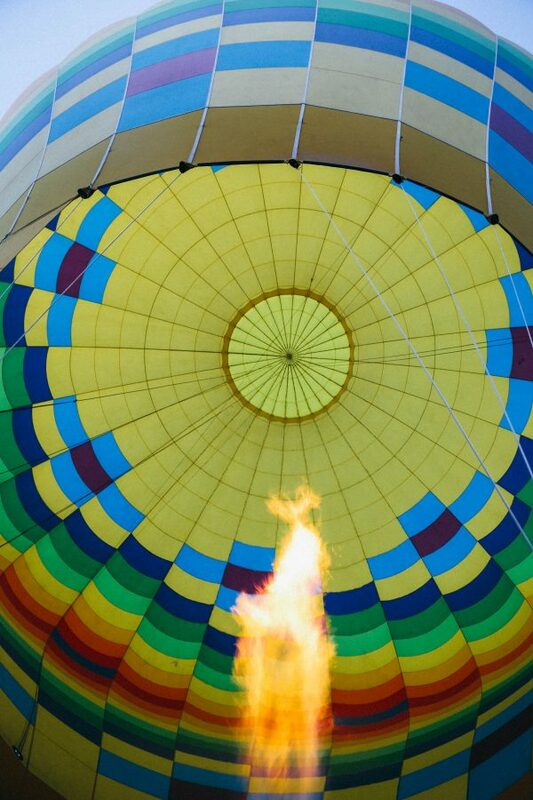 If there is one activity I was so thrilled to try was riding in a hot air balloon. 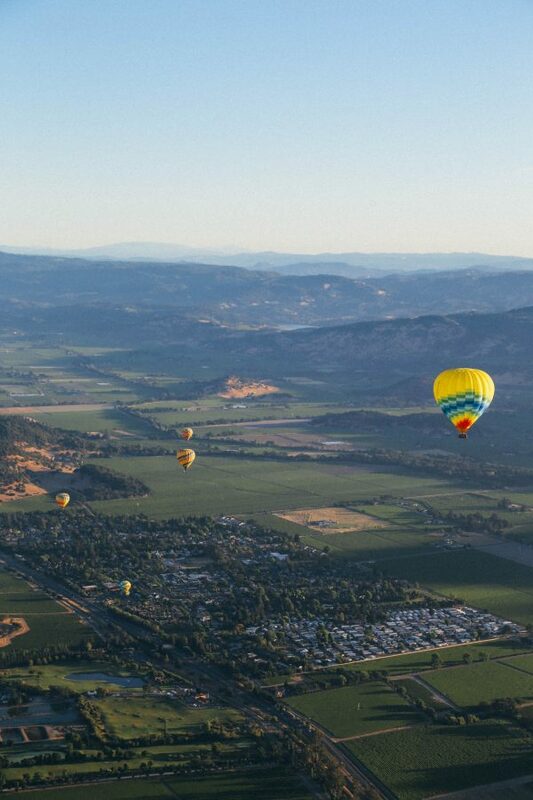 Napa Valley Aloft put on a marvelous show starting at sunrise. With several hot air balloons to navigate they made our 45-minute flight towards San Francisco an unforgettable experience. Reaching almost 3,000 feet, we could see Yountville, North Bay, and beyond. 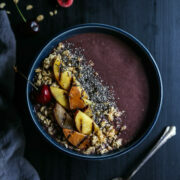 Another fun event with Napa Valley Aloft is their brunch option that will serve you a feast along with champagne afterwards. 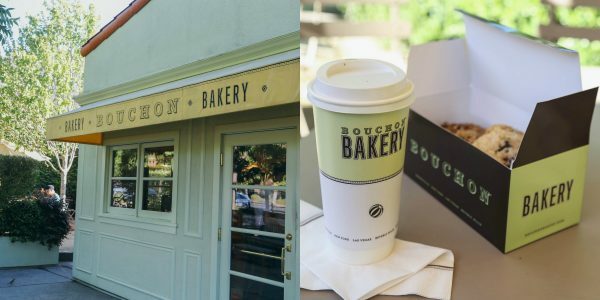 Or, if you want a simple cup of coffee along with some decadent pastries stroll next door to Bouchon Bakery to satisfy your sweet tooth. I highly recommend their chocolate banana muffins. 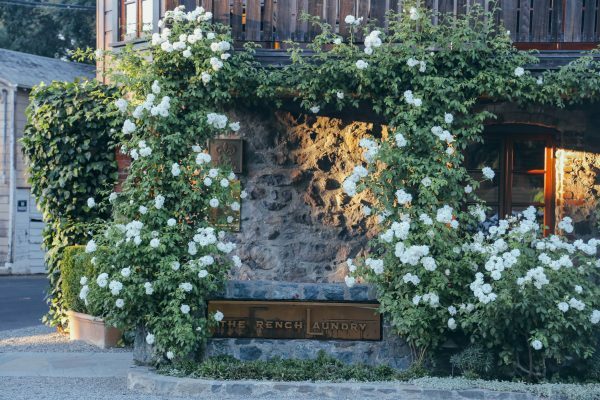 Before we left Yountville, we strolled through the French Laundry Garden. 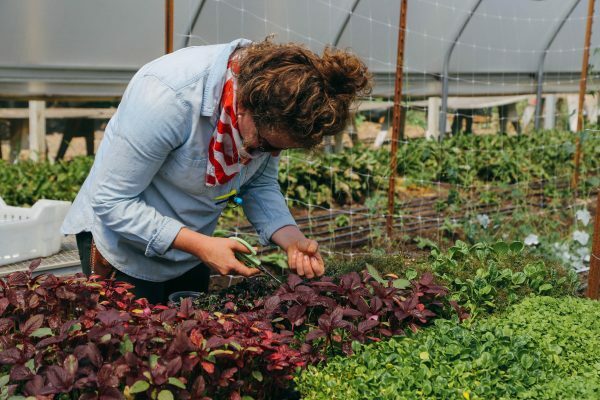 This free, self-guided garden is right across the street from the famous French Laundry’s main gardens. We had major garden envy as we perused through aisles of tomatoes, zucchini, corn, micro greens, and more. 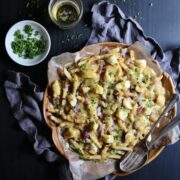 And if you are lucky you might see Chef Thomas Keller in action! 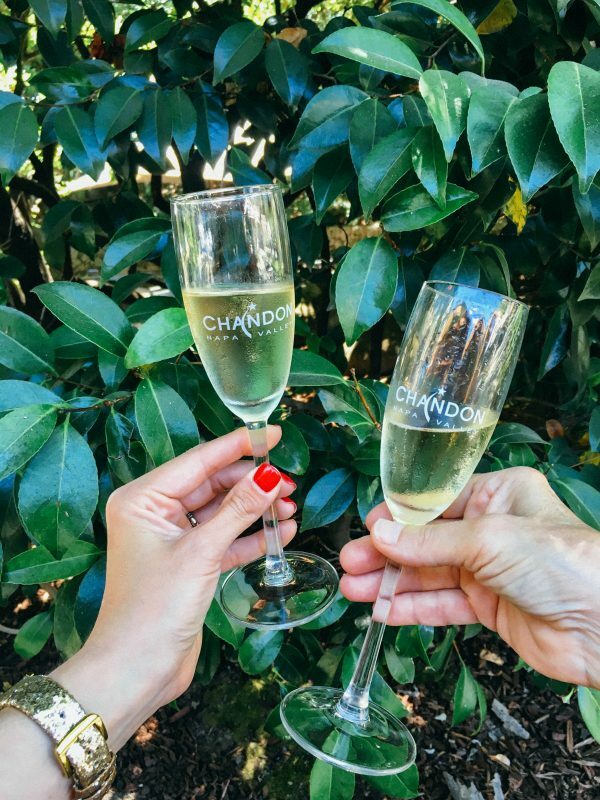 The last stop on our wine adventure was a five-minute car ride just outside of Yountivlle at Chandon. This sparkling wine vineyard not only is great welcome to the city, but also the perfect spot to bid adieu. 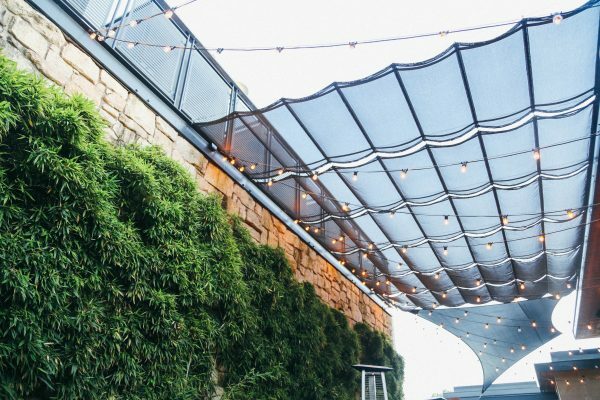 No reservations are required for their tasting- so grab a class, sit on the patio, and soak in all that wine country has to offer. And that’s a wrap on our 48 hours in Yountville. We will definitely be back because as they say, Taste Life Here. 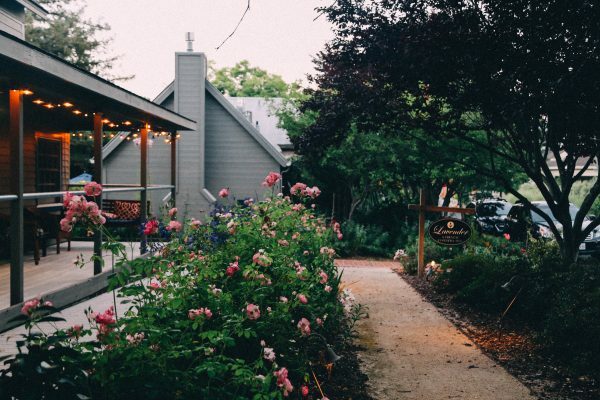 What a gorgeous place to stay… lovely food stops and I’d love to bike around and explore Yountville! Thanks, Lori! I can’t recommend Yountville enough! What a DREAM of a trip, and I am smitten with your hotel. I want to do Napa with you! 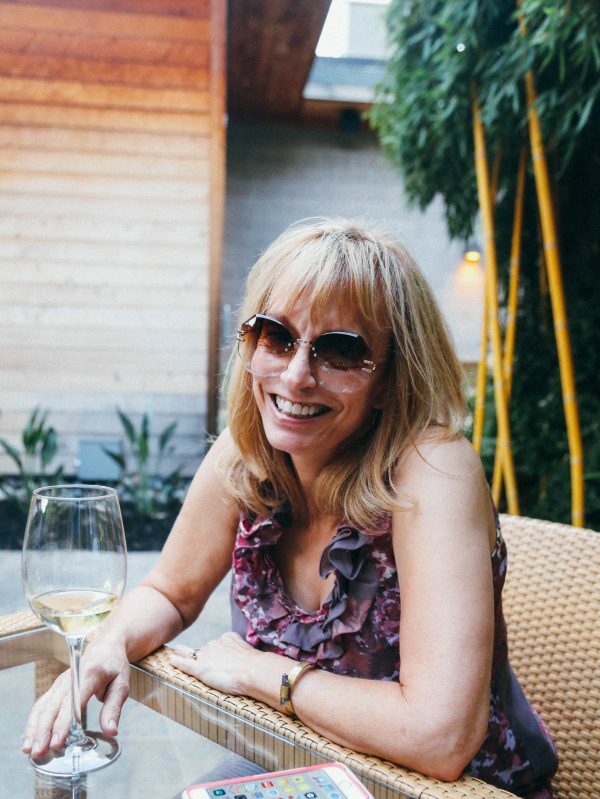 Erin, Yountville is the place to be in Napa! And the b&b is spot on! I am so glad you had a wonderful time! I’d go, just for that amazing dinner at Lucy’s. But there’s the wine tasting, too! What a fun weekend; I’ve never been to Yountville, or have just passed through, but won’t be doing that next time! Dinner at Lucy’s is a must! 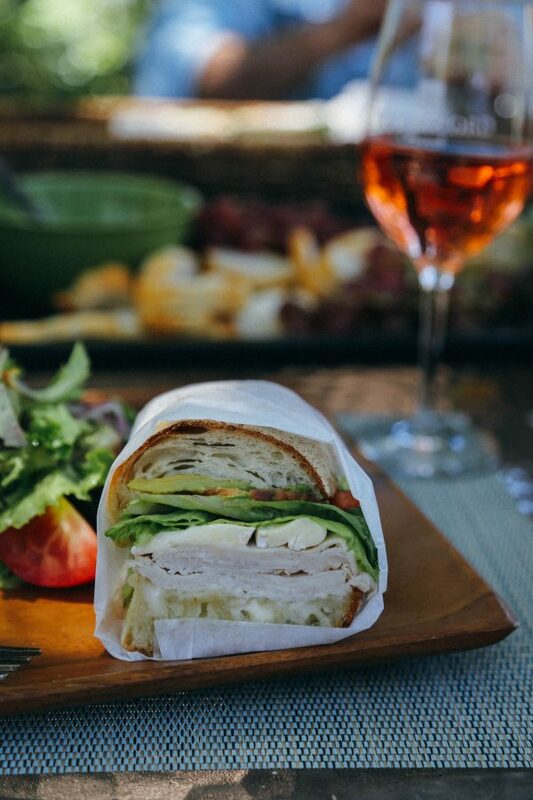 And yes, Yountville is not to be missed! I’ve been to Napa Valley but haven’t been up as far as Yountville. Being an oenophile, I absolutely loved that area and definitely need to get back to see Yountville! Yay! I can’t recommend Yountville enough! I’m wanting to get back to San Diego, so I’m adding Yountville to our list since it’s drivable! 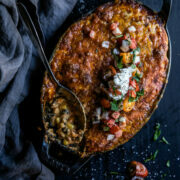 Looks incredible! 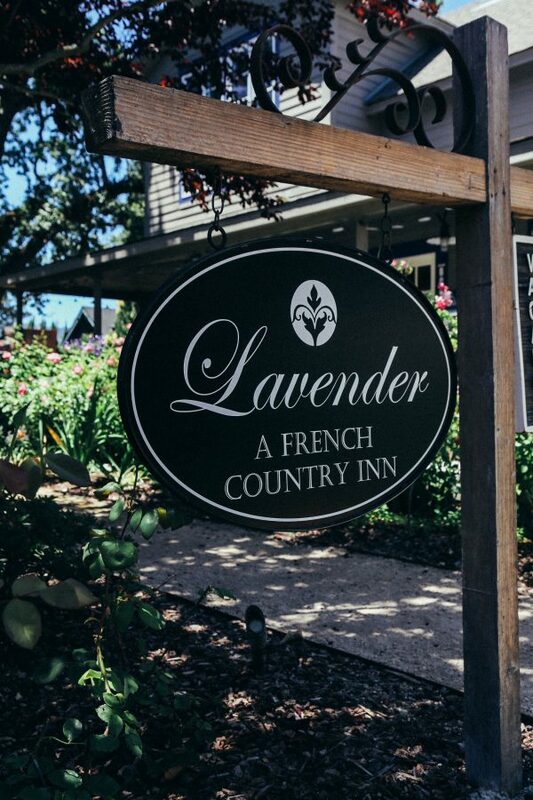 I was excited to read your blog because my husband and I are going to Yountville in 2 weeks and are staying at the Lavender Inn! Thanks for all the recommendations. Can’t wait to explore and “wine and dine” our way around the area?. Cheers! Wonderful1! I hope you enjoy your time Marilyn!! How fun! I have the luxury of living in nearby Sonoma, and I always find any excuse to visit Yountville (in fact, I did yesterday!). 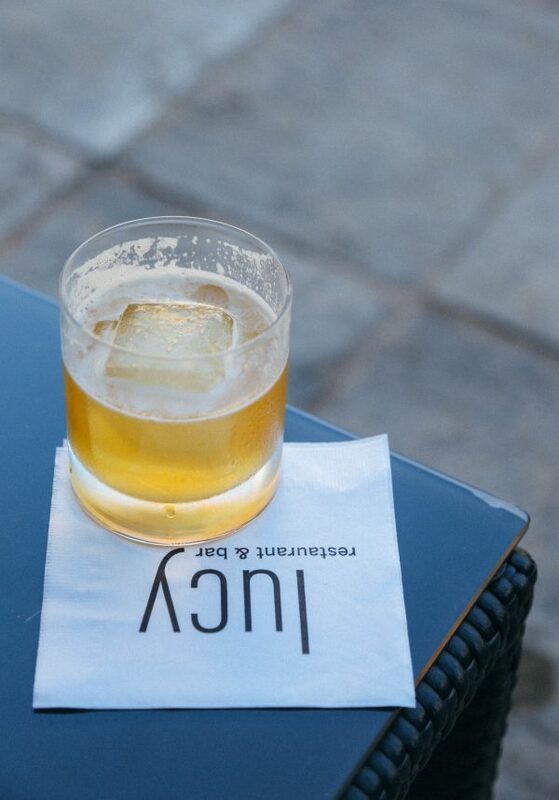 The food at Lucy looks great – I’ve only had drinks there. Safe travels and thanks for sharing your experience. Sarah – Yay! Lucy was amazing for drinks and dinner! You live in the most wonderful part of the country! Need to get back soon.